Srila Prabhupada had a great positive attitude due to faith in Krishna and his desire to show compassion to others. We have an example of a person who was an instrument of Srila Prabhupada’s enthusiastic positive attitude. His name is Shyamsundar Prabhu. Please listen to this story. He was a twenty five year old boy. We are not going into his background before he met Srila Prabhupada, but he did not know much about Bhagavad-Gita, or Srimad Bhagavatam, or any of these things. He met Srila Prabhupada in Haight-Ashbury district of San Francisco. He saw Srila Prabhupada’s enthusiasm. At that time the most famous, influential, and difficult people to meet in the entire Western World, was a musical band called “The Bettles”. Have you heard about the Beetles? Whatever Beetles said was like the word of God to the young generation of America. They were the authorities. Whatever they wore, people would wear; whatever they thought, they would think. There were millions of people who wanted to see them, to touch them, to meet them, and so they were really isolated in seclusion. By that time they stopped all public concerts because they did not want to be near people, it was too much of crowds and fanaticism. Shyamsundar Prabhu goes to London with his wife and new born little baby, who was only three months old. They did not have a home, they did not know anyone, and at times the wife, baby, and husband were living in a cardboard box in a basement of a warehouse. Their mission was to make the Beetles into devotees. Now, what would the odds be that they would be making the Beetles into devotees, perhaps, five billion to one? What do you think? Within about a half of a year, they were living in John Lenin’s house, who was the leaders of the Beetles. They were living in his house and they invited Srila Prabhupada to come and live with them. George Harrison, the lead guitar player, became a devotee, and they made records for them. Their record, ‘The Radha Krishna Temple’ was the number one record album in most of Europe. The single record, ‘The Hare Krishna Mantra,’ also was the number one record in many parts of Europe, including London, and George Harrison remained a devotee for the rest of his life. That is just one out of so many examples in Shyamsundar Prabhu’s life. From where did he get that enthusiasm? From where he did get that positive attitude to do what was impossible? 4 Responses to "Association is Contagious"
This story of Shyam Sundar prabhu meeting Beatles and inspring so much faith in George Harrison is one of the most amazing stories of Krishna Consciousness movement. 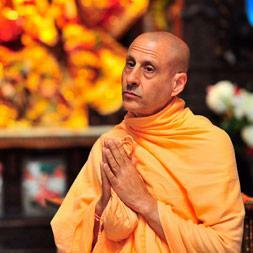 Thanks to Radhanath Swami. Such amazing incident from life of Shyamsundar Prabhu’s life. This certainly shows that association is contagious. 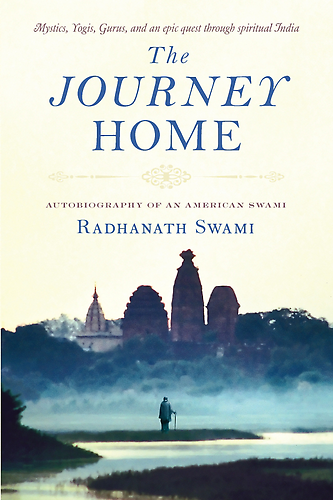 Many thanks to HH Radhanath Swami for presenting this very vital point is such striking manner. 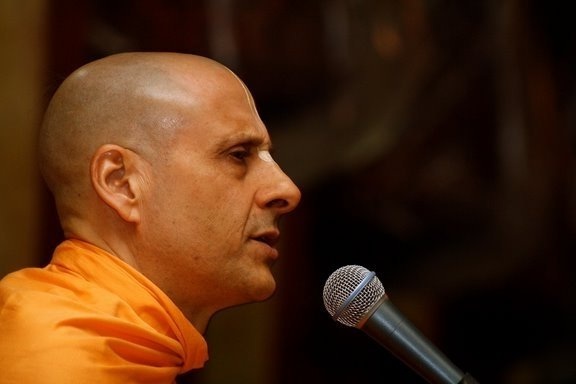 Radhanath Swami very nicely explains the connection – Shyam Sundar prabhu derived enthusiam from Srila Prabhupada.